CHICAGO, January 30, 2018	(Newswire.com) - When an Engine begins to show the need for major repair there are two options: Buy a new car or rebuild the engine. The options people choose depends greatly on an internal battle between a person’s emotional desires and financial wisdom. Contrary to what big advertisers and pop culture feed the public, it is not necessary for people to have the latest and greatest material object. Wants and needs are two entirely different things, and if people are able to distinguish between the two today, they’ll be able to satisfy more of both tomorrow. Below are three reasons why people should rebuild their engine instead of buying a new car. 1. It boils down to the money. A new car purchase takes a heavy and irreversible toll on a person’s finances. People often make the mistake of focusing on the monthly payment offered by dealers. Higher insurance and registration rates are examples of the additional costs of new vs. older vehicles. In a study, AAA revealed the average cost of owning and operating a new car in 2017 is around $8,500 a year. This factors in maintenance, fuel, depreciation, insurance, and registration, and does not include the price of the actual vehicle or the monthly payments. When factoring in a monthly payment of $400 the total amount of money going towards a vehicle is $13,300 every year for 5 years. Ouch! For anyone trying to build wealth or make it out of the rat race, financial experts advise strongly against borrowing for vehicles. On the other hand, depending on the make and model, the average cost of an engine rebuild could be anywhere between $1,000 and $2,000. This may seem like a lot, but people who do this are able to enjoy a vehicle that runs like new without the additional long-term financial burden incurred by a new car. 2. Engine Kits have made the rebuilding process more affordable and much easier. Rebuilding an engine is far from simple. The engine needs to be taken out of the car. After it’s disassembled the block is sent to a machine shop where they clean it, check for cracks, and bore the cylinders. When the machine shop is done with the block, the old internal components and an orchestra of different types of gaskets are replaced with brand new ones. If a mechanic had to source each of the parts individually it would not only be very expensive, but it would also be extremely time-consuming. Thankfully Engine Kits exist. Depending on a vehicle’s make and model an Engine Kit comes with a Set of Pistons, Piston Rings, Main Bearings, Rod Bearings, Cam Bearings, Freeze Plugs, and a Full Sealing/Gasket Set. Buying all these parts together in a kit kills two birds with one stone facilitating the buying process and lowering the total cost of parts. 3. Partsology.com has made finding the right Engine Kit easy and affordable. By far, Partsology is considered the best place to buy an Engine Kit. Not only are their prices great, but their service is in a league of its own. 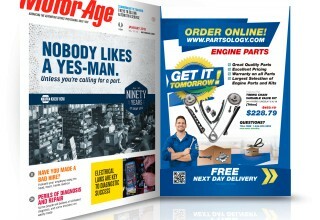 They are the only parts store in America that offers free Next Day Delivery on all their Engine Rebuild Kits. 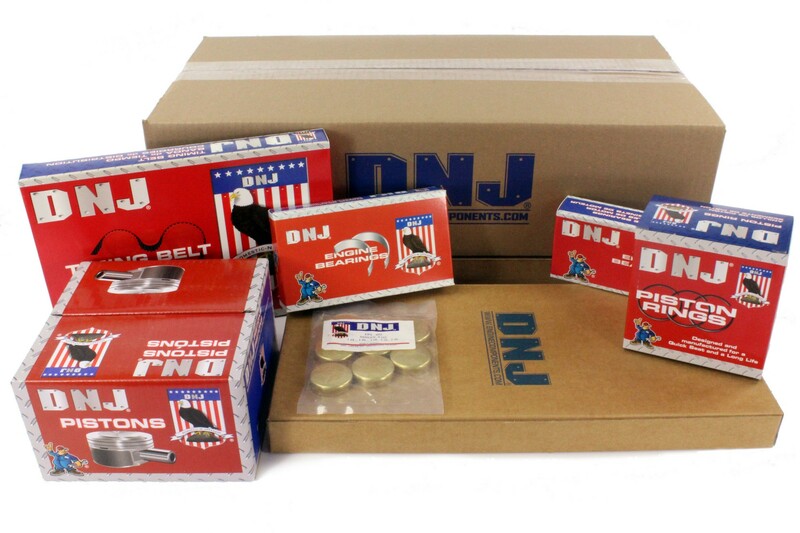 They also make the buying process easy by offering only one brand of Engine Kits: DNJ Engine Components. The advantage of DNJ Engine Kits is that all the components in the kit are the same brand. Unlike other kit sellers that mix and match parts from different brands and increase the margin of error, the DNJ kits ensure a better fit and inter-compatibility between components. 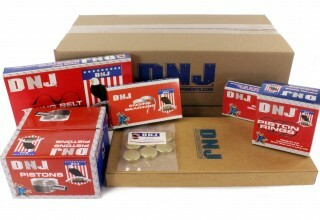 A DNJ Engine Kit for a Toyota 22R Pickup, which comes with a Timing Cover, Full Gasket Sealing Set, Brass Freeze Plugs, Main Bearings, Rod Bearings, Oil Pump, Pistons, Piston Rings, Piston Pin Bush, Timing Chain Kit and Thrust Washer Set is currently sold on Partsology for $204.39 with Free Next Day Delivery. Though it’s not a one-step process, rebuilding an engine is definitely worth it. 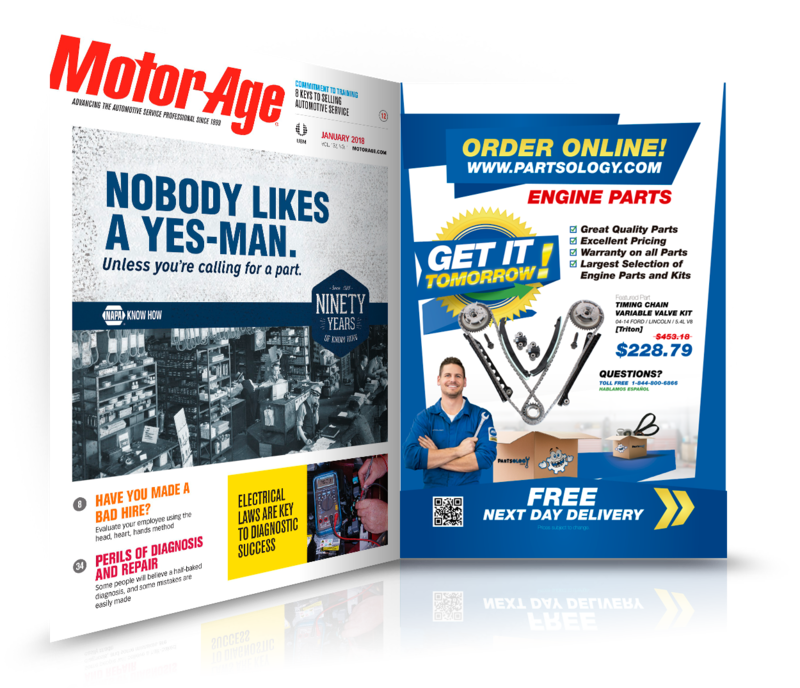 With sites like Partsology making it more accessible for people to buy Engine Kits, it’s no wonder why more people are deciding to keep their cars longer. Sign up for email updates from Partsology.